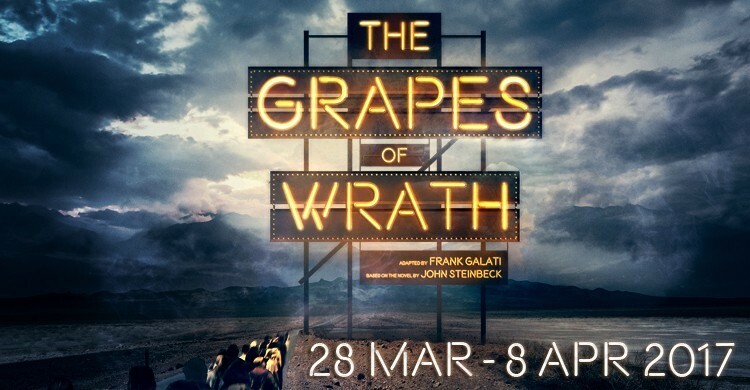 Review: The Grapes of Wrath. Nottingham Playhouse. – East Midlands Theatre. Review: The Grapes of Wrath. Nottingham Playhouse. The Nottingham Playhouse, Nuffield Southampton Theatres, Royal Derngate Northampton, West Yorkshire Playhouse production of Frank Galati’s imposing adaptation of John Steinbeck’s classic novel The Grapes of Wrath is spellbinding and emotionally relevant for our modern era and retrospectively. 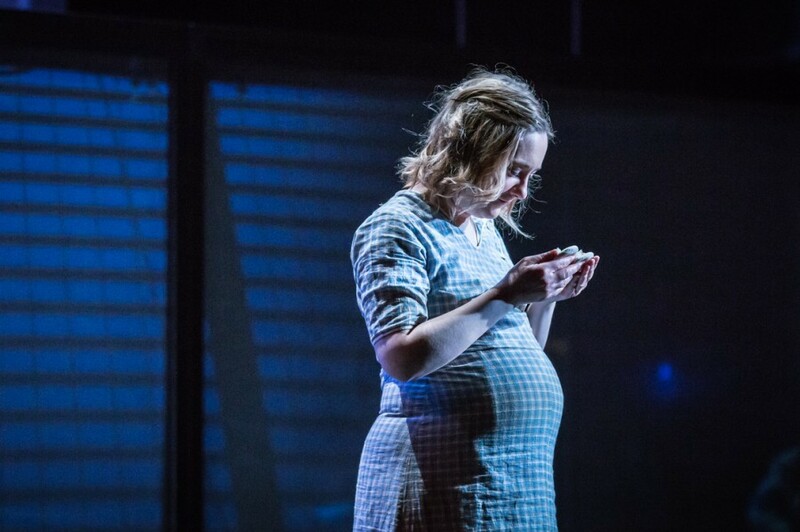 With this epic piece of narrative theatre directed by Abbey Wright and designed by Laura Hopkins it is vital, as an audience member, to accept the diverse and culturally opposing visual narrative alongside a straight telling of Steinbeck’s historically fascinating fictional story, based on hard historical truths. Within the contemporary and historical parallels hides this production’s shining beauty. The major strength of this important work is in the music by composer Matt Regan that informs the narrative from the initial raw sound of rough music hewn from a simple handsaw to the sweeping grandeur of the musically informed and terribly real journey of the 300-400,000 migrant Okies. Imagination is key. This is theatre not a film. The local community actors joining forces with the professionals and, the gradual intermingling of 1930s characters with the modern clothed extras, takes the concept of deliberately staged incongruity and twists it into a compelling tale of the hopes and fears of migratory peoples. They all do a brilliant job. The Grapes of Wrath is a superb, very human, story of heartbreak, cruel scams and death but still pervades our souls with its key message of compassion and love. 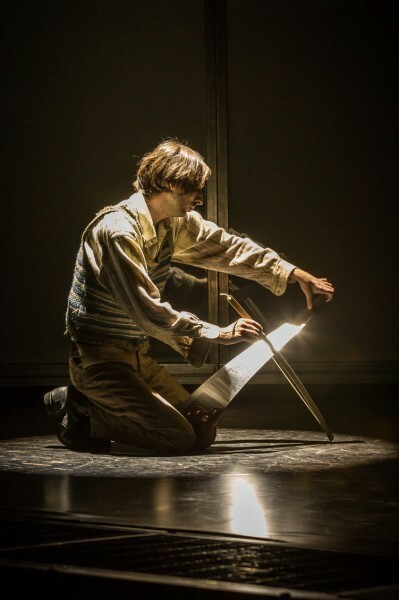 The production’s rawness and minimalistic setting, juxtaposed with elements of modernity, especially in the aspects of playing modern musical instruments, is paramount to its universal appeal. These diverse aspects give the play many a challenging theatrical twist that works well for the open-minded amongst us. Saying that, confusion can be good for the soul as Confucius most likely said. Really. Confusion makes us think and challenge and interpret that which we are viewing even if we are not sure about our initial impressions. Otherwise our viewpoint stagnates. The acting is uniformly good with solid performances from André Squire as Tom Joad, Heronimo Sehmi (Grampa), Charlie Folorunsho (Pa) and Pamela Merrick (Granma/Elizabeth Sandry). Overall the accents are perfect and the vocal tones emotionally engaging. As Steinbeck would have wished, in this stage adaptation, by the award winning Galati, the Joads are ‘vital and alive in the foreground reminding us that each migrant has a personal story’ – a story that we would do well to listen to as one day it could be our unfortunate own. Such is the vulnerability of the human condition corrupted and dictated to by exterior forces. Sadly, real life definitions of these manifestations are all too prevalent in our daily exposure to modern media and life. 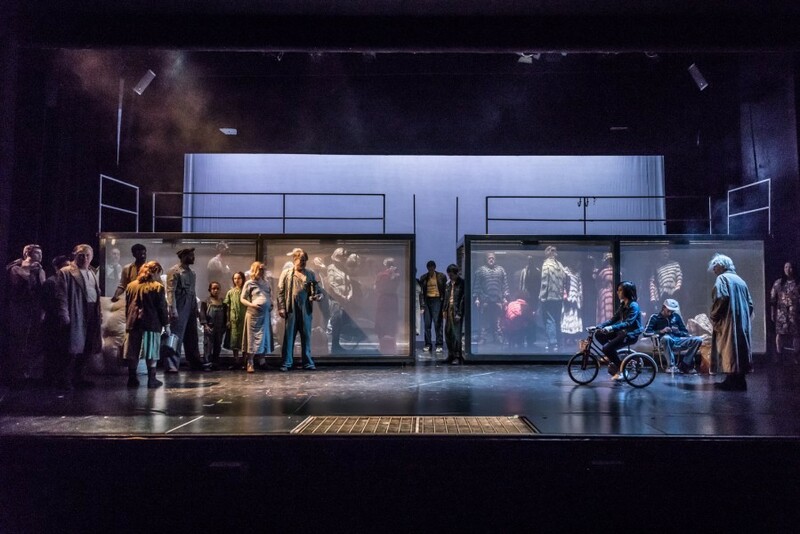 In witnessing such vulnerability we, as audience members need to recognise that we can be crippled or enhanced by our own metaphorically, brave or wobbly stilt walking interpretations of life. Human existence always looks good from a higher perspective but we only have to put a foot wrong and crashing down we come. 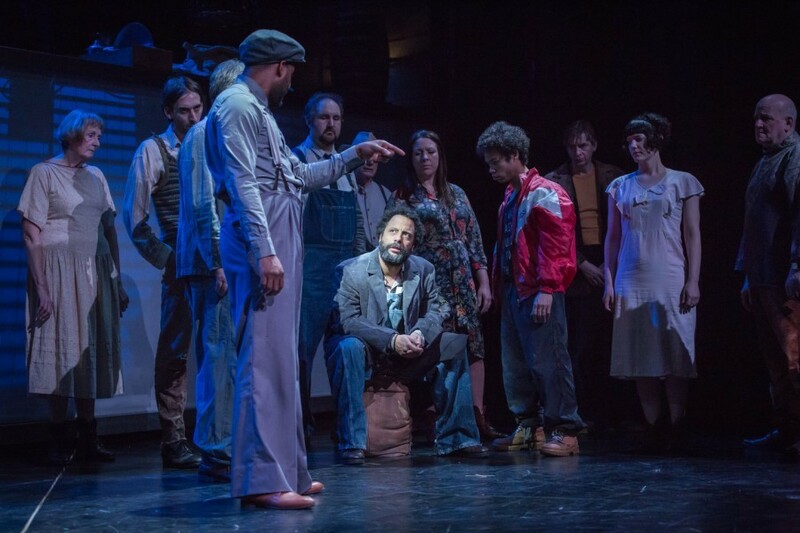 Whatever your own considerations or interpretations of this theatrical production, good or confused, the reward is in the very effort of consider-ing and some element of discussion of how theatricality can inform and enrich our lives. As John Steinbeck himself said in his award winning and much prized novel, “There ain’t no sin and there ain’t no virtue. There’s just stuff people do.” The creative value is in the doing and ‘doing it’ in the best sense of loving and sharing the experience and yes “Maybe all men got one big soul ever’body’s a part of.” including this rapt audience in the theatre tonight. 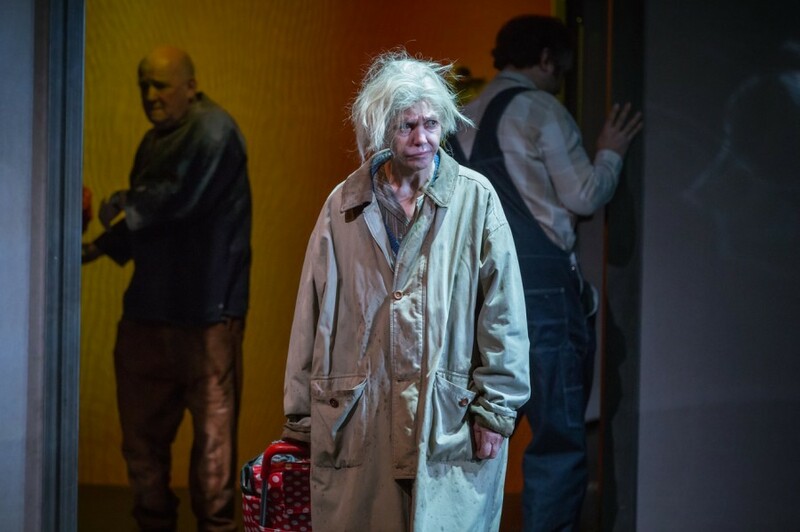 The Grapes of Wrath runs at Nottingham Playhouse until Sat 8th April. 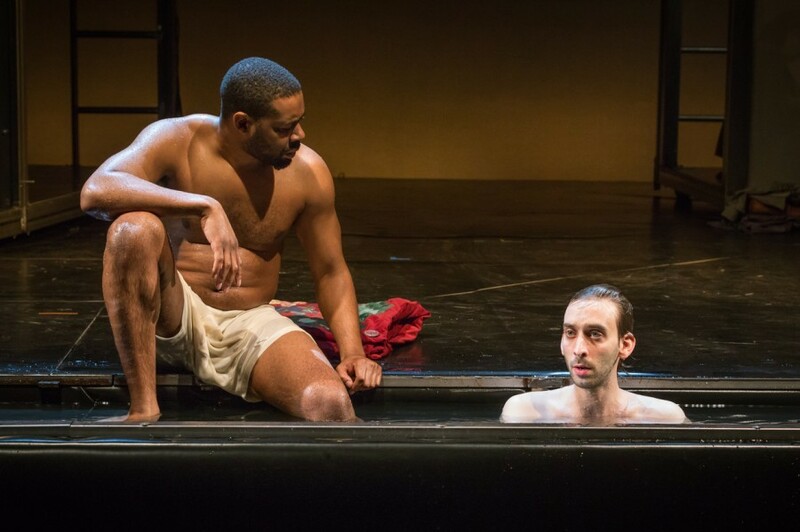 Review: Ballet Rambert. Ghost Dances. Nottingham Theatre Royal.